Apple Picking jobs in New Zealand. With New Zealand’s fertile lands, apple orchards are abundant! Every harvest season, farms need extra workers to pick crops for about 10 weeks before the end of the season. Apple picking requires no experience, no huge job application process, just people that are willing to work hard for the season. Being paid per piece helps with the motivation, giving workers a chance to earn more than minimum wage. It’s a great way to top up your funds while travelling in New Zealand on a working holiday visa! Want to know more? Then check out our guide to the apple picking season in New Zealand below. Apple picking is an easy job to get in New Zealand, but it’s physically demanding. You’ll need to be relatively fit to do well! On top of that, it’s a great opportunity to meet other backpackers and make some quick money for a couple of months. 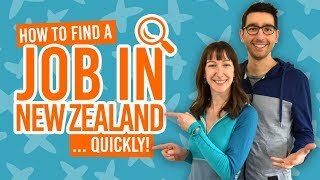 To help get a job quickly in New Zealand, follow our job searching tips. Where to find apple picking jobs? Generally, the apple picking season starts during mid-February in the North Island and upper South Island and late-February in Otago. However, a few regions in recent years have experienced earlier picking seasons, for instance, orchards in Hawke’s Bay started the season 10 days earlier in 2018. So be prepared to look for apple picking jobs about two weeks earlier than the season is “supposed” to start. How long does the picking season last? The apple picking season in New Zealand usually lasts for 10-11 weeks. Expect the season to end around the end of April/early May. It will end around mid-May in the Otago region. For more fruit picking seasons and locations in New Zealand, check out our guide to the Picking Seasons in New Zealand. How to apply for apple picking jobs? Once the apple picking season comes around, getting an apple picking job will be, well, as easy as picking apples! Here are a few ways to find an apple picking job quickly. Hostels are a popular long-term accommodation choice when working on a fruit orchard for the season. For that reason, many hostels in regions with a large horticulture industry will team up with apple orchards to find workers. If you choose to stay in a working hostel, that hostel will be able to find work for you. 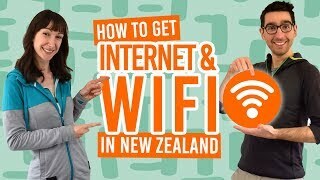 Find out more in What is a Working Hostel in New Zealand. Not many farmers are tech savvy enough to put their job listings online. In fact, in New Zealand, most jobs are found face-to-face. So ask around and visit fruit orchards to hand in your CV / resume and show you are ready to work! You may have figured out that apple picking is picking apples off trees. Pickers will work in teams to fill large containers called “bins”. Each picker will be equipped with a special apple picking bag that, once full, you drop off in the bin and start picking again. Bins can usually hold between 17-25 picking bags. There will be a driver in the team taking full bins away and replacing them with empty ones. The farm may ask you to do some quality control along the way, asking you to only pick apples of a certain colour, or avoid picking apples that look a certain way. For more information about picking jobs, and other types of jobs on New Zealand fruit orchards, see Working a Fruit Picking Job in New Zealand. As with many kinds of picking jobs in New Zealand, you will be “paid per piece” or “paid per bin”. Instead of receiving an hourly wage, you will be paid depending on how many bins you and/or your team fill. This is a good opportunity to earn above minimum wage on a temporary and entry-level job. Bin rates are different between farms, apple types and what the apples will be used for, usually ranging between NZ$24.50 to NZ$32 per bin. However, even within the same farm, different bins may have different rates, which is called a “sliding rate”. For instance, a bin of higher quality organic apples will have a higher rate than a bin for apple juice. This means that you may see different bin rates listed on your payslip. Bin rates and sliding rates must be stated on you employment agreement with the lowest rate possible to the highest rate. Your employer can pay you higher than the highest rate stated on the employment agreement, but it is illegal for them to pay you under minimum wage. Minimum wage in New Zealand is currently NZ$17.70 per hour (2019). People new to picking can usually fill 3-4 bins per day in their first couple of weeks. Like most things, the more you do something, the better you get at it. After about a month of picking, the average picker will fill 5-7 bins per day. Experienced pickers can even reach 8-10 bins on a good day. Even as a temporary worker you are entitled to holiday pay in New Zealand. Your holiday pay is 8% of what you earn. Most often, you will be paid your holiday pay at the end of your employment, however, some employers will pay your holiday pay per week. You holiday pay should be separate and easily identifiable on your payslip. Find out more in New Zealand Working Holiday Employment Rights.